Press Democrat, May 26, 2015: “It’s alarming because we’re seeing more than we typically see” [said Sheila Semens, Noyo Center for Marine Science]… Three gray whales were beached just last week… There also were reports of a… whale on an inaccessible beach. KTVU, May 25, 2015: [It] has become a frequent sight: a dead whale…. the spike has experts intrigued… It’s estimated that for every one whale that’s washed up, ten others die at sea. NBC Bay Area, May 25, 2015: It’s a disturbing trend… why is this happening?… Scientists really don’t have any answers… (Prof. Dawn Goley, Humboldt St. Univ. ): “I’m not sure this is just a natural event… or if there’s something to be concerned about.” [She says] there may be a pathogen or disease in the ocean. KTVU, May 26, 2015: Pamela Van Paris [is] worried about the health of the sea creatures. “It’s kind of like in the mines, the little bird in the cage“… [Schramm] said the concern is those whales washing ashore that seem to be malnourished. Gulland: Six of the dead were gray whales… In a typical year [it’s] one or two. Willits News, May 15, 2015: [A] killer whale washed up… just 19 orca beaching [were] reported in California between 1927 and 2011. KRON, May 20, 2015: There are still a lot of unanswered questions that scientists are trying to figure out… Moe Flannery with the California Academy of Sciences [said] “It’s pretty typical to have multiple whales strandings in a year, just not in the same county”… three to four whales a year wash up along California beaches. 2/19 – Italy incr security at gov bldgs and tourist dest following multiple threats from Islamic State. Rising concerns of sleepers within N. African immigrant influx. 2/18 – USGOV issues new travel warning for Israel, Gaza & West Bank. Warns of risks of travel to these areas due to security situation. 6 US citizens killed in 2014. 2/14 – US Embassy Copenhagen, Denmark warning American citizens to maintain high level of vigilance after mult shooting incidents in capital. Poss terrorism nexus. On multiple occasions this week AlertsUSA subscribers have been notified via SMS messages to their mobile devices regarding multiple international terrorism concerns. Most pressing are new threats being posed by Islamic State militants to the European mainland. The threat raised alarms with Italian authorities to such an extent that this week the Italian government deployed ~5000 soldiers around Rome and elsewhere in the country to protect sensitive sites. Though not receiving much press coverage in America, Italy has a major illegal immigration problem in the form of boatloads of individuals, mostly male, arriving from the nations of Algeria, Tunisia, Libya and Turkey on a near daily basis. Looking at a map of the region will show that Sicily is just over 100 miles from the Tunisian coast and only about 300 miles from Libya. While no one envisions a Normandy-style Islamic State invasion, the slow creep of radical Muslims into Italy, and Spain, and Greece poses significant security concerns due to the high potential for random terror attacks as are being experienced in a growing number of Western countries. Additionally, as the European economies continue to decline, thus creating greater hardship within Muslim communities already struggling with high unemployment and a refusal to assimilate into local cultures, there will be an increasingly larger number of European Muslims more easily persuaded to join the movement. In short, why travel to Iraq and Syria to wage jihad when you can wage jihad at home? SIMILAR THREAT TO THE U.S. There are also similar concerns for America. As AlertsUSA reported on multiple occasions last year, the Obama Administration is dramatically expanding the number of Syrian refugees allowed to resettle permanently in the United States from about 350 in 2014 to close to 10,000 this year and in years to come. There are significant concerns that this program will facilitate the import of jihadists into the homeland. There are reports that Egypt has intelligence revealing the Islamic State is planning a worldwide offensive this spring or summer that could reach targets within the United States. These reports indicate that ISIS members captured in recent weeks in the Sinai Peninsula have revealed plans for ground offensives and that ISIS is plotting possible attacks using cells abroad. We also remind readers that just weeks ago, the head of the FBI Counterterrorism Division, Michael Steinbach, told CNN “there are already individuals in the U.S. that have been in communication with groups like [ISIS] who have a desire to conduct an attack,” and conceded the FBI finds it extremely difficult to track every American traveling abroad who can join ISIS or receive training by foreign terrorist organizations. As has been the case for over 12 years, AlertsUSA continues to closely monitor the overall domestic and international terrorism threat environment and will immediately notify service subscribers of new alerts, warnings and advisories or any developments which signal a change the overall threat picture for American citizens, as events warrant. AlertsUSA urges readers to be extra discerning as President Obama, the liberal media and Muslim apologists continue claim Islam is a "Religion of Peace" and terrorists have "hijacked and perverted the faith." The truth is they are either ignorant of history or Islamic doctrine or are intentionally lying. America's problems with Islamic terrorism stretches back to just after the 13 colonies declared independence from Britain in 1776. At that time, Muslim pirates, known as "Barbary pirates", were seizing American merchant ships off the coasts Morocco, Algeria, Tunisia, and what is now Libya and enslaving the crews. These actions ultimately led to what is known as the First Barbary War and was fought between 1801 and 1805. Ironically, the very first foreign military conflict ever authorized by the United States Congress was against Muslim terrorists. A few years prior to that war starting, Thomas Jefferson and John Adams met with an ambassador from Tripoli in London. During that meeting, the ambassador was asked why his government was so hostile to the new American republic? "… it was founded on the Laws of their Prophet, that it was written in their Koran, that all nations who have not have acknowledged their authority were sinners, that it was their right and duty to make war upon them wherever they could be found, and to make slaves of all they could take as Prisoners, and that every Muslim who should be slain in Battle was sure to go to Paradise"
US Officials Threaten James Foley’s Parents About Ransom!?! After speaking with President Barack Obama by phone on Aug. 20, 2014, John and Diane Foley talk to reporters outside their home in Rochester, N.H. The mother of slain American journalist James Foley said she wasn’t necessarily surprised that the U.S. government threatened her family with prosecution should they raise money to pay her son’s ransom, but she was astounded by how such a devastating message was delivered. Earlier this week five current and former officials with direct knowledge of the Foley case confirmed the alleged threats were made. “It was an utterly idiotic thing to do that came across as if [the U.S. official] had the compassion of an anvil,” said a former official who has advised the family. 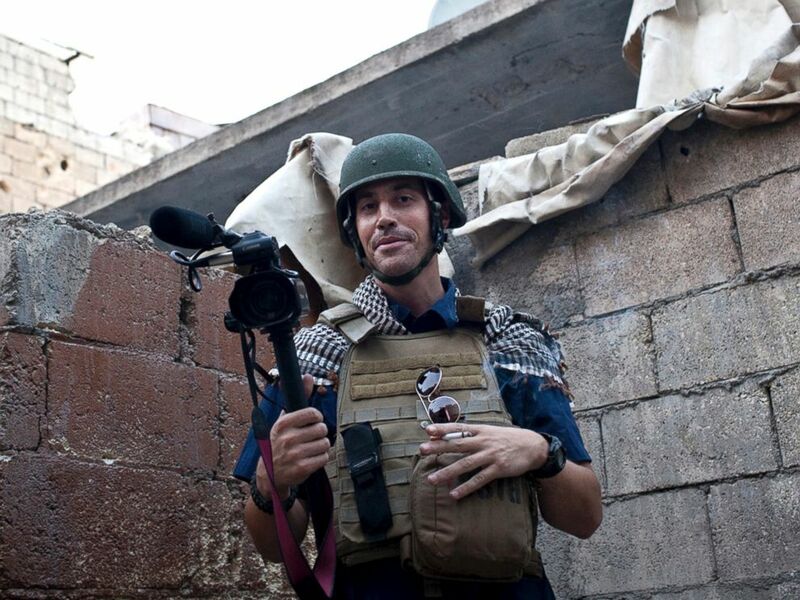 Could Money Have Saved James Foley? PHOTO: In this Nov. 2012, file photo, posted on the website freejamesfoley.org, shows missing journalist James Foley while covering the civil war in Aleppo, Syria. Diane Foley told ABC News earlier this week that warnings over the summer came primarily from a highly decorated military officer serving on the White House’s National Security Council staff. James Foley’s brother, Michael, also told ABC News that he was directly threatened with possible prosecution by a State Department official. “It was very upsetting because we were essentially told to trust… that the way they were handling things would bring our son home,” Diane Foley said. The U.S. government did try to rescue James Foley along with other American and European hostages from an ISIS stronghold in Syria in early July, but by the time the elite commandos arrived at the location, the hostages had been moved. 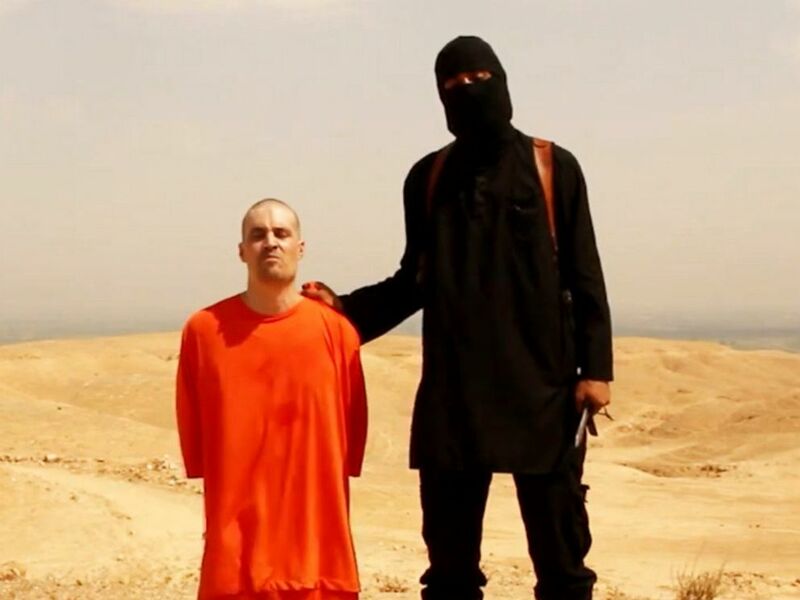 Foley was executed weeks later by a self-professed ISIS militant. 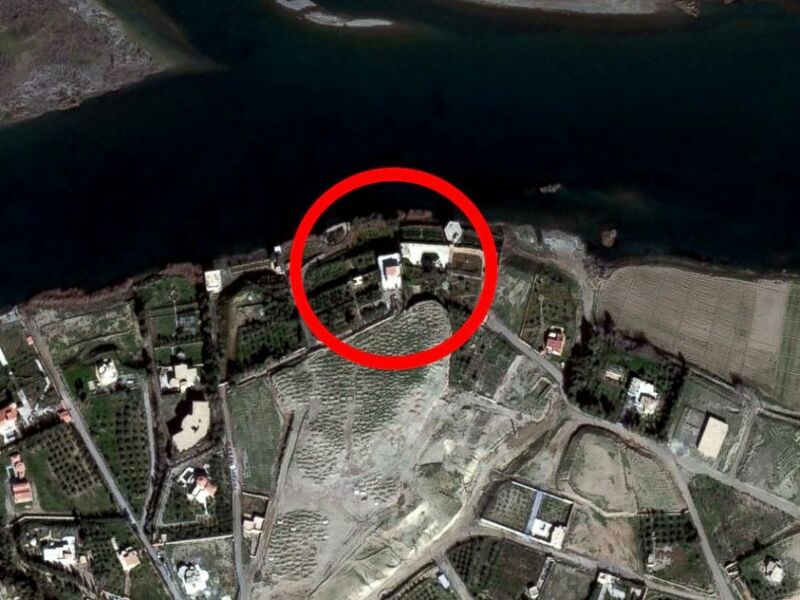 PHOTO: This satellite photo shows a compound on the Euphrates River just south of Raqqah, Syria where ISIS hostages, including James Foley, were believed to have been held in the Spring of 2014 based on descriptions by former hostages. Diane Foley said the family believed they knew where their son was being held prior to his execution, but other than the July rescue mission, it didn’t seem like anything was being done. “But we’re not politicians, we’re not government people, we don’t know,” she said. Diane Foley said the problem was that the family “had no idea” because the government didn’t tell them. 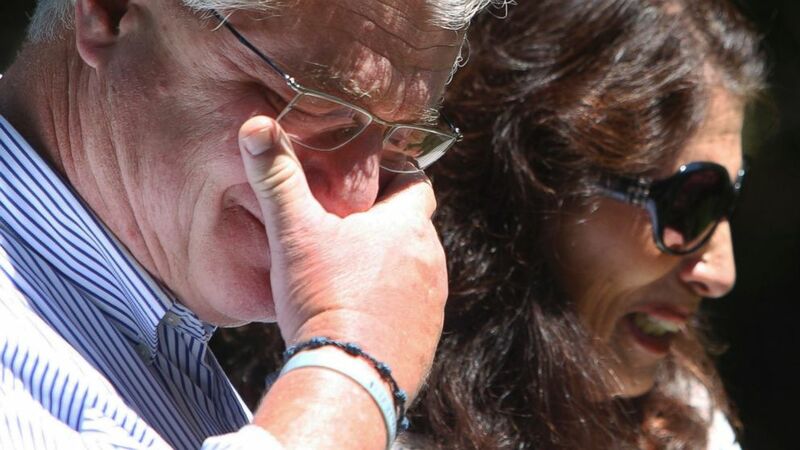 At times, Diane Foley said the family “had to beg” the government for information on their son. “We were an annoyance, it felt, at some level… They didn’t have time for us,” she said. “It is a long standing policy of this administration, it was the policy of previous administrations that ransoms should not be paid to terrorist organizations,” Earnest said before referring more specific questions about the Foley’s situation to the Justice Department. Secretary of State John Kerry today told reporters that he was “really taken aback [and] surprised” by Foley’s allegations. “I can tell you that I am totally unaware and would not condone anybody that I know of within the State Department making such statements,” Kerry said. “But this department would never and did not ever intend nor do we think we ever did anything that we would consider threatening,” Harf said. PHOTO: A screengrab from a video posted online appears to show American journalist James Foley shortly before he is killed by a masked captor. Thursday an NSC spokeswoman also said that the Foley family was informed of U.S. laws banning terrorism financing but denied the family was told they could face charges if they made a ransom payment. “Without getting into the details of our private discussions with families, the law is clear that ransom payments to designated individuals or entities, such as ISIL [ISIS], are prohibited. It is also a matter of longstanding policy that the U.S. does not grant concessions to hostage takers. Doing so would only put more Americans at risk of being taken captive. That is what we convey publicly and what we convey privately,” NSC spokeswoman Caitlin Hayden said in a statement. The spokeswoman also asked ABC News to withhold the military officer’s name for fear his personal security could be compromised by those who might wrongly blame U.S. officials for Foley’s slaughter at the hands of ISIS militants who may never have considered sparing him for any price. Diane Foley did not disclose how much her family had raised before his high-profile public execution but she and a surviving son, Michael, said that the administration’s intimidation tactics succeeded. “It slowed my parents down quite a bit. They didn’t want to do anything that could get them in trouble. It slowed them down for months in raising money. Who knows what might have happened?” Michael Foley said. The family launched the James W. Foley Legacy Fund this week, which in large part is intended to help other hostages’ loved ones navigate the frustrating currents they encountered both with the terrorists and with their own government. Two American and several British hostages remain in ISIS captivity. “ISIS is a very brutal group. They may have already decided, that Jim and the others were Americans and they were going to kill him,” Diane Foley said.